• No, no, no: Points and scores are bad enough, but when a general interest website runs a story aimed at beginning wine drinkers and starts throwing around winespeak, we know we’re in trouble. But that’s what the Skillet site did, advising a white wine drinker to try a red made using carbonic maceration. There is almost no reason for anyone to know what that means, unless you’re a wine geek. And, of course, most people aren’t wine geeks. Is it any wonder I worry about the future of the wine business? Next time, use English – words like soft, fruity, and so forth – and then drop in tannins if you want to get technical. • More than 20 centuries old? A 2,400 year-old wreck has been found in the Black Sea, and researchers think the ship may have been used to carry and trade wine. “Normally we find amphorae (wine vases) and can guess where it’s come from, but with this it’s still in the hold,” said a member of the expedition. The wreck is similar to the ship pictured on the Siren Vase in the British Museum. The vase, dating to around 480 BC, shows Odysseus (of Homer’s Iliad and Odyssey) strapped to the mast as his ship sails past three sea nymphs. • Another challenge: A Florida-based wine importer has filed suit in California, claiming that the state’s version of the three-tier system is unconstitutional. The Dickenson Peatman & Fogarty law blog says that if the suit is successful, any importer or wholesaler in the U.S. – even if they don’t have a California license – may be permitted to sell to California retailers without using an in-state distributor. This would be a revolutionary change, possibly making it easier for consumers to buy wine previously unavailable. However, the firm doesn’t rate the suit’s chances highly, noting that the precedent used in the suit hasn’t been applied to importers before, calling it a “bridge too far” in the suit’s approach. 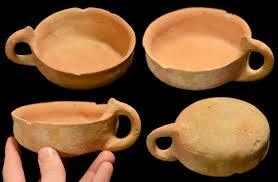 • Very, very old: Scientists have discovered wine residue in clay pots more than 5,000 years old. 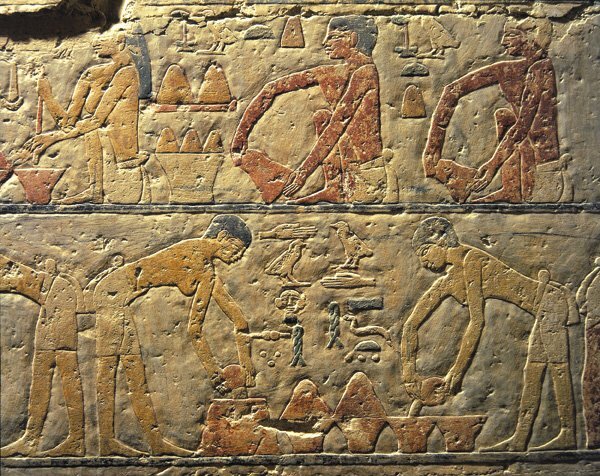 If it is wine, will force archaeologists to reconsider how long we’ve been making and drinking wine. 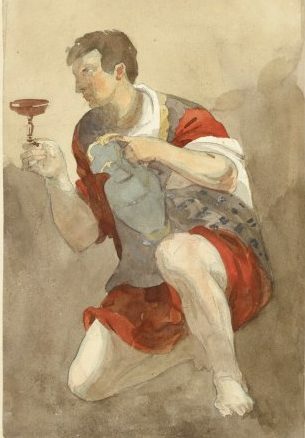 This discovery, in caves under the Monte Kronio volcano in Sicily (along with a similar find in the republic of Georgia), means wine use may be a couple of thousand years older than believed. Even more amazing, the wine in the caves may have been part of a complex system of international trade, bringing copper goods to Sicily in exchange for wine. And without the three-tier system, too. • Free shipping: Who knew airline free wine shipping would be a draw? But Alaska Airlines thinks it is, part of their “Wine Flies Free” program. Those of us who travel to wine regions served by Alaska, which includes parts of California and the Pacific Northwest, can check a case of wine without paying the fee. You have to belong to the airline’s frequent flyer program, but that’s about the only condition save whether your state allows it. • Not in my province: Canadians, who usually seem more sensible about these things, are embroiled in a trade war over wine and oil. The province of Alberta, which has the oil, wants to build a pipeline through neighboring British Columbia, which has the wine but doesn’t want the pipeline. The premier of Alberta has imposed an embargo on B.C. wine until the latter allows the pipeline. In other words, much U.S.-style foolishness – and even someone trying to make money off the embargo. The Calgary Herald reports that a luxury wine tour company, Butiq Escapes, is offering a “B.C. Wine Smuggling Escape for Albertans,” complete with private jet to fly you to B.C. wine country. Now where did I put that wine requisition? We tend to forget, given the foolishness that consumes the post-modern wine business, that wine is nothing new. I always tell my El Centro students that the French wine industry dates to the 12th century; one reason Henry II of England married Eleanor of Aquitaine was for her dowry, which included Bordeaux’s vineyards. So I was both pleased and not surprised to see that Hebrew soldiers, stationed in a fortress in the ancient kingdom of Judah around 600 BC, included wine in a supply requisition. Researchers found the request on a pottery shard discovered in 1965, and used advances in imaging techniques to decipher what had not been legible for the past 52 years. The supply request, addressed to a quartermaster, included information about paying for supplies, as well as making sure the soldiers had enough flour, oil, and wine. In other words, not that much different than one of today’s supermarkets ordering from its distributor. • How did the wine trade survive without the three-tier system? Is this one explanation for the Babylonian conquest of Judah, which occurred around the time the inscription was written? • How did the quartermaster determine wine quality? The deciphered inscription, just 17 words, doesn’t include wine scores or tasting notes. Again, was the failure to include these another key to Judah’s destruction? • Also missing: any information about wine pricing and markups. Did the Judah military buy at wholesale, or was it forced to pay restaurant-style markups? If so, did the latter and its exorbitant costs bankrupt the military and lead to the country’s downfall?